Spend a year or semester near “Santa’s hometown” (Rovaniemi, Finland) and immerse yourself in the daily life of one of Europe’s most magical countries. Get an inside look at a country that celebrates summers of seemingly endless sun and finds light in the near total darkness of winter. With nearly 200,000 lakes, saunas and art festivals make up the unique Finnish culture. Finns tend to be shy and reserved at first, but will open up when they meet you. You can enjoy a unique experience of 24 hours of daylight in the summer and all-day darkness during the Arctic winter. Teenagers in Finland have a lot of independence and enjoy spending time outdoors, even in the winter. Your Finnish friends will attend high school formal dances called vanhojen tanssit with both modern and traditional music. 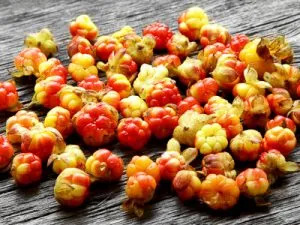 Fresh cloudberries harvested from the forest.